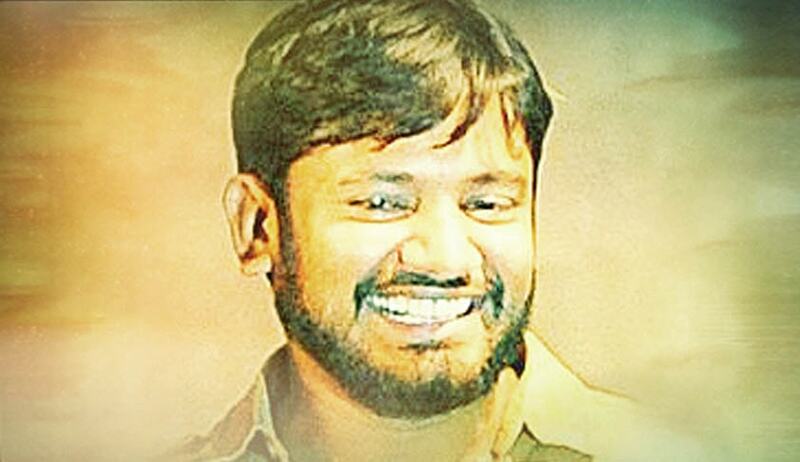 The Delhi High Court Single Bench Justice Pratibha Rani, today reserved its verdict on the bail plea of JNU students union president Kanhaiya Kumar, who refuted the allegation of police that he was raising anti-India slogans at an event on February 9 at the campus. The prosecution submitted that they have witnesses who have identified Kanhaiya and others raising anti-India slogans, will pronounce the order on March 2. Kanhaiya Kumar, who is in the judicial custody, submitted through senior advocate Kapil Sibal, that anti-India slogans inside the campus were raised by people with covered face. He also questioned the conduct of the Delhi police on registering the FIR on the basis of a TV video. Mr.Sibal asked why the FIR was not registered on that day itself if Kanhaiya and others had raised anti-India slogans as police personnel were present in civilian attire during the event and had witnessed the incident. Mr.Sibal also submitted that application for organising the event in question was filed by Umar Khalid and Anirban Bhattacharya, who are presently undergoing custodial interrogation. "Obviously, Kanhaiya had no part to play as he had not applied for the event. There itself the case against Kanhaiya goes," the counsel said. Sibal pointed out that the court can itself find from the video that Kanhaiya himself was seen asking people with muffled face, accused of raising anti-India slogans, for their identity cards.He claimed that there was no forensic report of the recording which could establish that Kanhaiya had raised anti-India slogans which attract the sedition charges. Taking note of Sibal's submissions, the court questioned the investigating agency whether there was any CCTV footage or mobile recording which could establish that Kanhaiya raised such slogans. The court also questioned Delhi police as to why they did not register the FIR when its officials were present during the event and must have noticed the alleged incident. Additional Solicitor General Tushar Mehta, appearing for Delhi police, defended its stand on arresting Kanhaiya, saying there was evidence, including pamphlets and statements of the witnesses, which clearly state that Kanhaiya and others, were shouting anti-India slogans and were holding Afzal Guru's posters. Mehta also submitted that there was a joint probe of the Intelligence Bureau and Delhi police in which the arrested accused are found raising slogans. "In the light of these evidences, he (Kanhaiya) was very much there on the spot, along with other accused," ASG said, adding that the investigating agency is also probing into the financial aspect behind this incident which is part of a larger criminal conspiracy. He contended that this case has been transferred from Delhi police to its anti-terror cell (Special cell). Kanhaiya's father, uncle and elder brother were present during the hearing, which started at 2.15 pm and concluded at 5.30 pm.